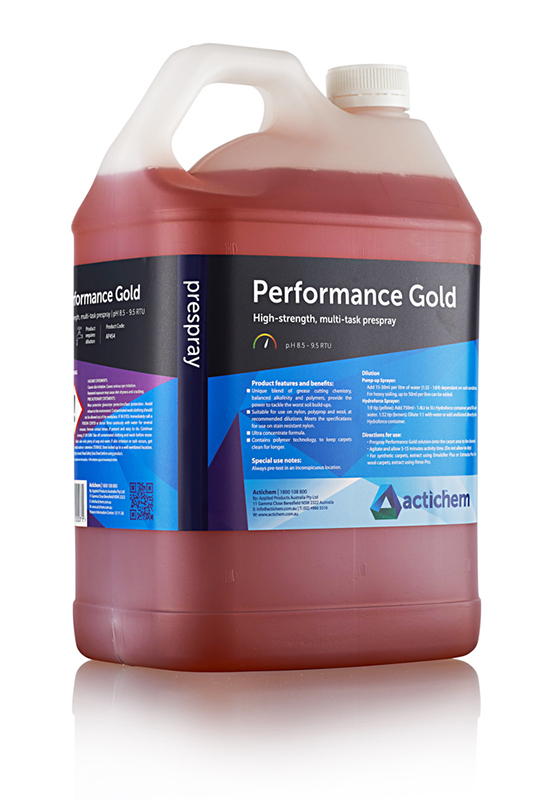 Actichem Performance Gold is a high concentration pre-spray with a unique blend of grease cutting chemistry, balanced alkalinity and polymers, provide the power to tackle the worst soil build up. 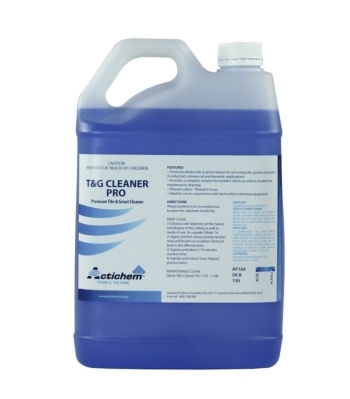 This tough formulation bursts through serious grime without damaging the carpet fibre. It is ideal for use on nylon, polypropylene and wool at recommended dilutions. It meets specifications for use on stain resistant nylon. 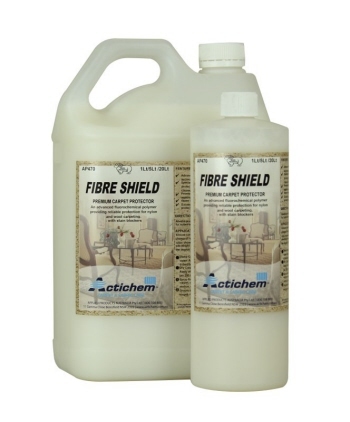 Actichem Fibre shield, premium carpet protector with advanced fluorochemical polymer technology provides premium protection for nylon and wool carpeting. 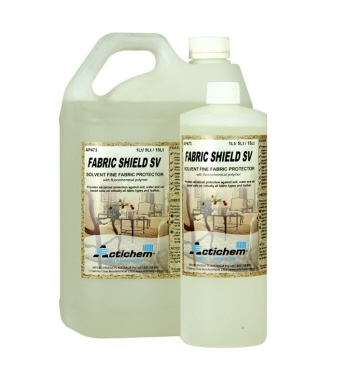 Actichem Fabric Shield RTU provides premium protection against water and oil based soils, as well as dry soils on almost all fabric types and leather. Crete Clean Concrete Cleaner is an advance in the chemistry of removing concrete and grout residues from mixing and transportation equipment. Actichem Professional Tile and Grout Cleaner is a high performance alkaline degreasing and defatting cleaner. A trusty workhorse.